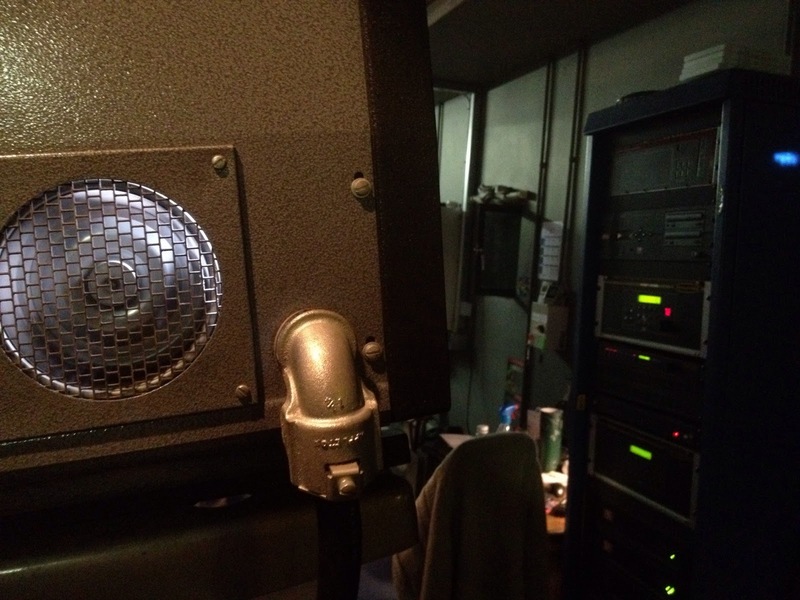 IFI Blog: Is There Anybody Out There? The first fatalities of cinema’s digital metamorphosis are dropping all around the world. 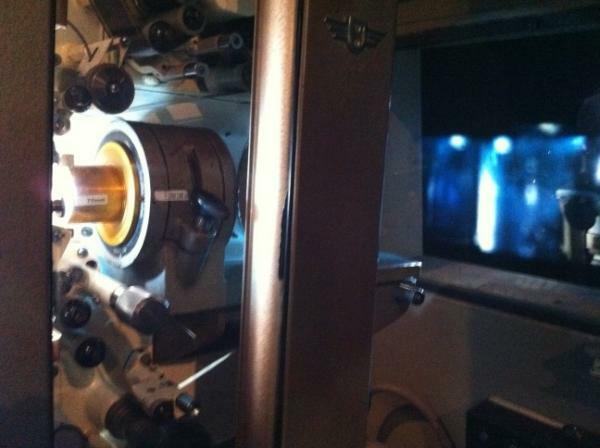 From Deli to Dublin, Hollywood to Helsinki, projectionists are being rubbed out, en masse. This has not come as a surprise to us, as this digital revolution has been on our particular horizon for at least a decade. Most multiplexes you now visit are automated. There is nobody anymore watching your backs from above. Sure, somebody will (eventually) come running should you have cause to complain, but you are ultimately at the mercy of the IT specialist and his firmware. The IFI is a particular exception. The nature of an institute and archive is that we have to be able to facilitate all formats. This includes digital in all its forms, such as Digibeta, DVD, Bluray and DCP. And indeed film, whether it be 8, 16, 35 or 70mm. Such places throughout the globe will become the last talent pool for our particular skill set. So, then, it is a skill, but is it art? Projectionists often talk about film the way sailors talk about the sea, as an unpredictable heartbreaker you could easily drown in. Every one of us have war stories to share and scars to show. But it’s not just about the skill: it’s the caring. If it is an art, I think that’s where it lies. 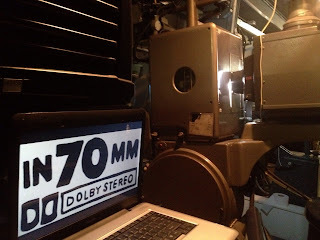 Projectionisim may be my job, but I love cinema, and I endeavour to bring a personal touch whenever possible. How is that possible?All you’re doing is sticking on the movie. All of the above is done by hand. As is every show in all our screens. We may not get it perfect each time, but know this: there is still somebody up there watching over you, and they love cinema just as much as you do. Well said, and much appreciated, from one of those 'out there'. Nice to know...keep up the good work ! I went to go see The Artist today, my first film at the IFI, but I was too late, I'll go sometime next week though! Good to know that there is actually someone up there! Question: When you show 70mm to you use "changeovers" or is the film on a platter or tower? Keep up the good work - its nice to know there are some projectionists left in Dublin. Its so sad that all the dedicated film projectionists have lost their jobs. And the Oscar goes to... the IFI!